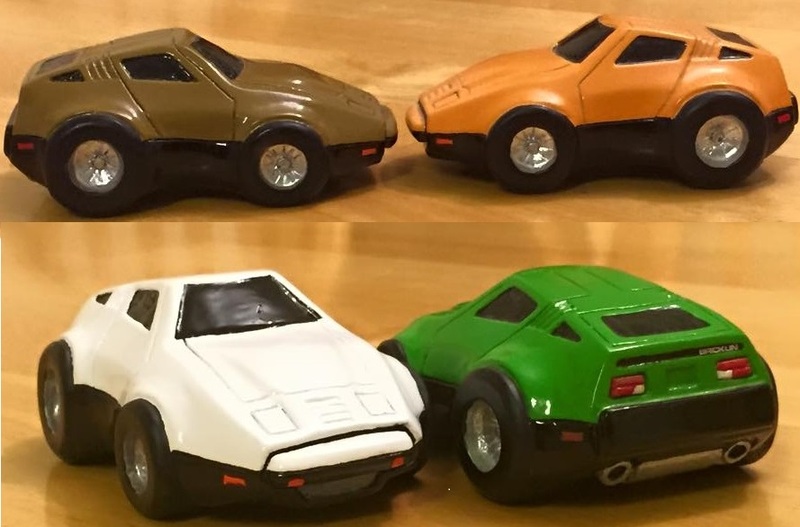 The most affordable model Bricklin you can buy anywhere! Unlike my 2nd series model Bricklins, this is a one piece casting - no moving parts (actually three pieces if you count the taillights!). 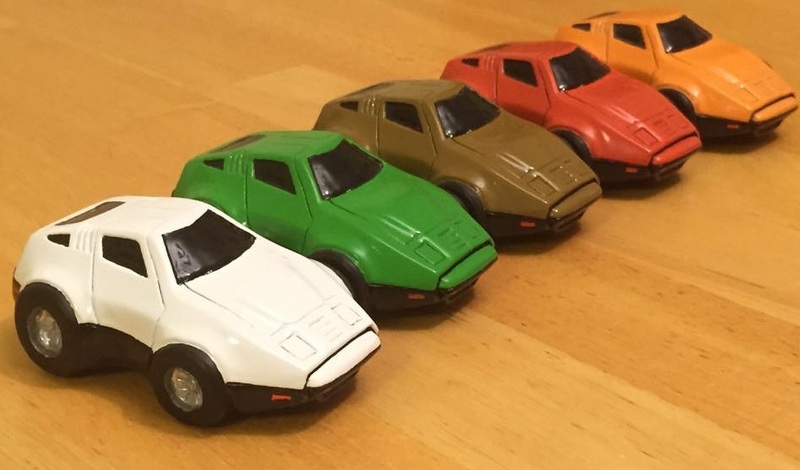 Also unlike my 2nd series model Bricklins, this is designed to be more of a caricature of a Bricklin than a scale model of a Bricklin. It's what I expect a Bricklin would look like if it showed up in the Sunday funny pages! It's about three and a half inches long and makes a terrific desk ornament at work. Or, if you like, choose a `Baby Brick' Christmas tree ornament (pictured below). I actually designed Baby Bricks originally to be Christmas tree ornaments! My `Baby Bricks' are available in all five original Bricklin colors: safety red, safety green, safety orange, safety white or safety suntan. The rear side of the Baby Bricks have been nicely updated, now featuring better looking taillights, the BRICKLIN name above the right taillight and the exhaust peeking out from under the bumper. 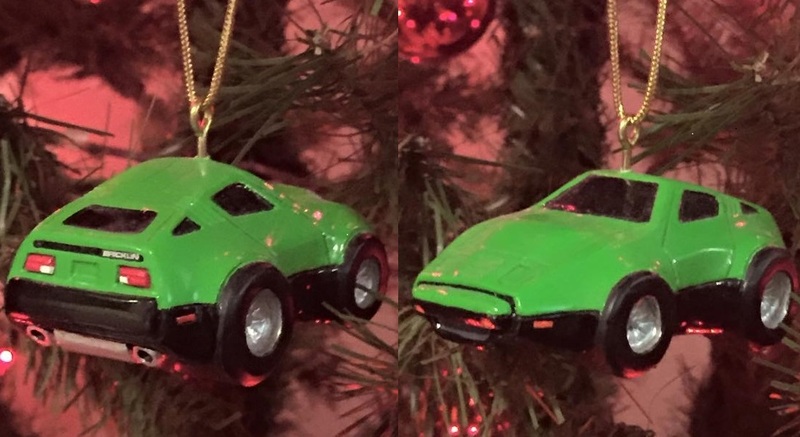 The perfect gift for the Bricklin SV-1 lover! Baby Brick Christmas tree ornaments!